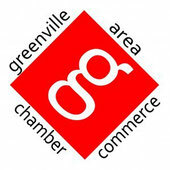 Russell Plunbing & Heating - Website of greenvillebusinessnetwork! The Russell Plumbing & Heating family takes great pride in being locally owned and operated. Our mission is to provide our friends and neighbors with quality service at competitive prices. Russell Plumbing & Heating is an American Standard 5 star Customer Care Dealer offering heating & cooling equipment rated #1 by Consumers Report. Russell’s specializing in installing and remodeling kitchens and bathrooms. There is a wide selection of fixtures including sinks, faucets, garbage disposals, toilets, tubs, showers, and shower doors by the names you know and trust – Kohler, Delta, Grohe, Insinkerator, Sterling, and Showerite. The showroom is open to the public with a large faucet display. The warehouse is well stocked with a variety of parts for the do-it-yourselfer. If the part you need is not in stock - will gladly order it for you.